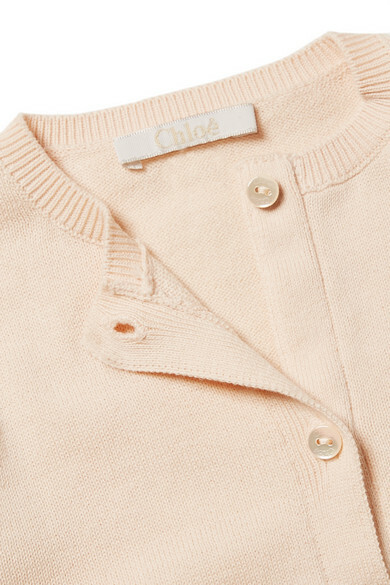 Part of Chloé Kids' mini-me collection, this sweet cardigan is designed with the same scalloped trims from the French house's signature 'Lauren' range - they almost look like ruffles, don't they? 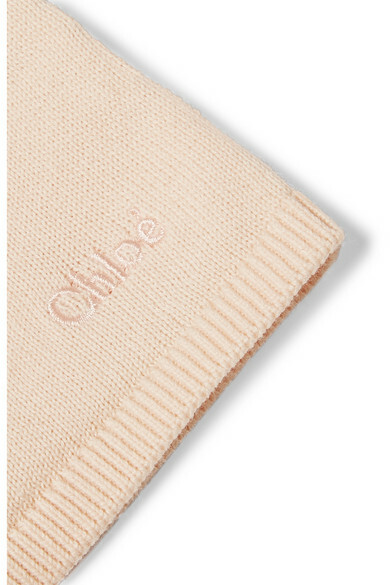 It's knitted from soft, breathable cotton and fastens through the front with pearlescent buttons. 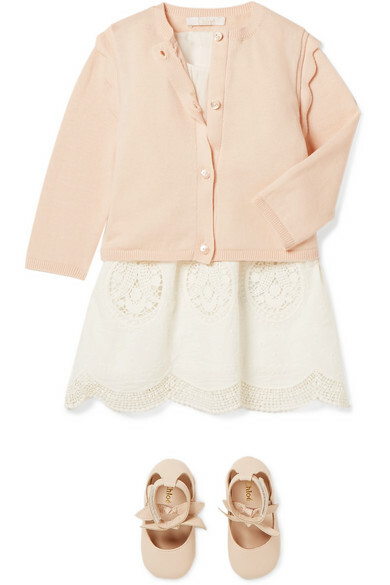 We think she'll love it when you match her shoes to the pretty blush hue, too. 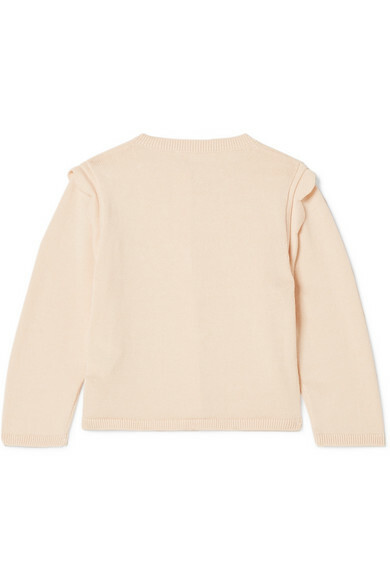 Shown here with: Chloé Kids Ballet flats, Chloé Kids Dress.